The primary sections of the presentation including the introduction, a question-and-answer session, and a conclusion. Copies of the presentation agenda can be handed out to the attendees. 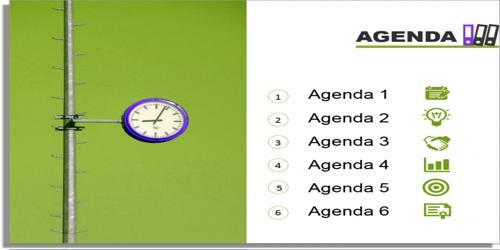 Business (Purpose) Presentation Meeting Agenda. Business case presentation meeting for the competitive dialogue procedure. 10:15 AM to 10:30 AM — tee/coffee break.